And how to use a Facebook page to enhance your job search. This is a guest post by Danielle McGaw. If you’d also like to guest post here on JobMob, follow these guest post guidelines. Social networks can be a great asset to anyone that is looking for a job or knows that they might be looking for a job in the future (and let’s face it – that is most of us!). The fact of the matter is that the number of people that will be looking for a job in the next five years is increasing. So, even if you have a job today, you need to be aware that next week, next month, or next year, you might not and you need to prepare yourself for it now. One of the ways you can do this is by creating a professional Facebook page to brand yourself as a professional in your field and make people aware of your skills. This is not the same as your personal profile where you show off pictures from your latest trip or share funny pictures with your friends. This is purely focused on your professional image. Why should you have a professional Facebook page? One very good reason to have a Facebook page for professional branding is because Facebook pages are indexed by search engines and they tend to show up very well. If you name your Facebook page with your real name and your field of work you can easily get indexed by search engines. If you want to be found by employers in a specific area, include the name of your city in the title. For example, if you are a software developer in Winnipeg, Canada you could name your Facebook page Bob Smythe, Winnipeg Software Developer. Or if you are willing to work anywhere in your country, you can substitute the name of your city for the name of your country. Your Facebook page is like an ongoing resume. You can share information about your skills. Share concrete examples. And the best part is that your Facebook page encourages interaction so people can ask you questions or share testimonials. It’s the ultimate interactive resume. What should you share on your professional Facebook page? The variety of things you can share is endless. The most important thing to remember is that everything you put on your Facebook page should have value. You don’t need to share personal information. Share things that will convince a potential employer that you are the person they want on their team. If you don’t have your own blog, write a “mini-blog post” in the status. Articles you are reading online that are relevant to your job field – and don’t forget to share your own thoughts in the status above the link! No, I don’t mean with your profile page – I mean with your Facebook page! 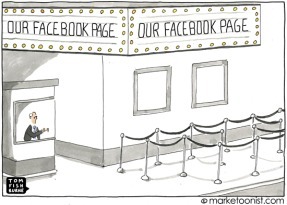 You can use your Facebook page almost the same way that you use your profile page with a newsfeed and everything! It is very cool and a great way to get more exposure. First, you need to go to your Facebook page and “use Facebook as your page” (by default you’re using it as your profile). Click on Edit Page at the top of your admin dashboard (you’ll see this above the cover when you go to your page). At the bottom of the drop down menu you will see “Use Facebook as ____” (see an example here on the right). Click on that. Now you are using Facebook as your page instead of your profile. You can find pages for businesses and organizations in your field of work and like them. When you click on the Facebook logo on the top left of the page you’ll get your page’s newsfeed. You’ll see updates from all of the pages that you have liked. If you like a status or comment on a status, it will show your Facebook Page profile picture and link to your page, not your profile. You can also share content from other pages directly to your own page. It is really very easy and it will help you get exposure to your Facebook page. Facebook pages recently changed over to the new Timeline and one of the advantages of this is that you can be contacted through your page instead of through your profile. This is a great feature because employers or others that are interested in what you are doing will be able to easily get in touch with you. There is a message button right under the cover photo so encourage people to use that. There are many advantages to using a Facebook page to enhance your job search. Businesses use them to their advantage so why shouldn’t you? You are in the business of promoting yourself and social media is a great tool for interaction and exposure. Danielle McGaw is a professional freelance writer who often writes about careers and job search. You can visit her at her own professional Facebook Page or find her on Twitter. 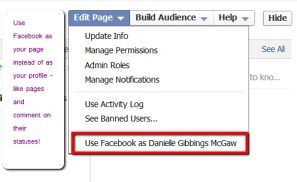 If you want Danielle McGaw to win, share this article with your friends. READ NOW: How To Make Your Own Cool Facebook Resume. 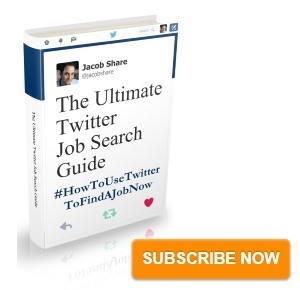 Subscribe to JobMob via RSS or email and follow me on Twitter for more Facebook job search ideas. Nice article. I thought I knew all I needed to know about using Facebook for my business, but I learned a few new things. Thanks. 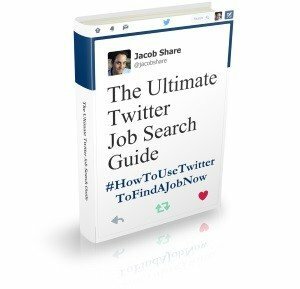 Thanks for letting me share some of my ideas on Facebook pages for job seekers! I hope everyone finds it helpful! If you have questions just ask! One other thing to consider is that when you create a professional FB page using your real name, potential employers will also search your real name and find your personal FB page. Some people have their privacy settings set pretty high so someone needs to be a friend to read your wall and view photo’s. However, some people forget or overlook certain settings so you don’t want anything on your personal FB page that could potentially hinder being considered for a job. Great Article I enjoyed reading it and it was very helpful. It was written really well, was very clear and concise. Had a lot of good information in it. This is a great article and excellent read. It makes me want to put more work into my professional facebook page. I totally agree with the usefulness of professional Facebook pages. They help in so many ways. As a freelance web designer and writer I use them to promote different projects and to attract new clients. Great post – sharing and passing along. It’s interesting to see how relevant past year’s entries in the guest blogging contest stand up over time. Previous PostA Recruiter’s Dilemma: Should I Add a Smiley or Not?